Urban Juve, a 100 percent-owned subsidiary of Yield Growth, has patent-pending technology for extracting cannabis sativa hemp seed oil, and hemp root oil that is used in its products, along with other botanical blends. Yield Growth also owns subsidiaries that include Provisions Inc., UJ Topicals Inc., UJ Beverages Inc., and Thrive Activations Inc. According to ResearchAndMarkets.com, the global hemp oil market accounted for US$81 million in 2017 and is expected to reach US$1.2 billion by 2026, expanding at a compound annual growth rate of 35.8 percent from 2018 to 2026. ResearchAndMarkets.com also says that there has been significant adoption of hemp oil products among the food & beverages industry and as well as in personal care products, in part, because they contain nutrients, essential fatty acids, and antioxidants. 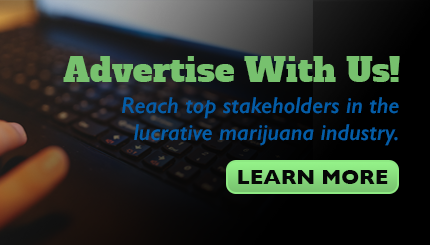 The Yield Growth Corp. provides digital financial services to legally operating businesses in the marijuana industry. It also intends to develop a mobile payment application that will allow users to order products from their smartphones, tablets, or computer. The company was formerly known as Cannapay Financial Inc. and changed its name to The Yield Growth Corp. in April 2018. The Yield Growth Corp. was incorporated in 2014. Yield Growth has established distribution and sales channels in Canada, the U.S., and Italy. It is currently selling products online and through retailers in Canada.